With prominent cyber security breaches becoming a somewhat regular occurrence, including recent attacks on companies to retrieve credit card data from customers, organizations around the country are, at present, frequently outgunned in the fight to protect their vital information. The problem isn’t bound exclusively to the private sector either; government agencies still struggle to defend themselves against cyber invasions from both international and domestic threats. As a result of these and other high-profile cases of compromised information, the field of cyber security has experienced a surge of public attention. Vast amounts of information now pass through data channels on a daily basis, with a great deal of it being highly sensitive and potentially debilitating if released. Both major organizations and the consumers that make use of their services have a definite, vested interest in keeping their data – whether they’re photos, documents, passwords, or sensitive personal information – secure, which makes security awareness essential. This is where some confusion comes in, however, as the entire purpose of cyber security might seem to be “protecting information” on closed or permission-based digital networks, thus spawning other terms to refer to the industry, terms like, “network security” and “information security.” In fact, network and information security serve as two branches of one central “cyber security” tree. Cyber security and information security aren’t different at all, but are related to each other in much the same way that the wider field of “science” is related to the practice of chemistry. Cyber security is a broad practice, demanding mastery of a number of unique skills in computational theory and practice from its most effective practitioners. Ensuring that servers, intranets, and channels built for data transfer remain protected and accessible only to those permitted, for example, falls under the realm of “information security”. While some cyber security professionals may specialize in this area, this is only one of the many dimensions of the field. Information security can be simply defined as “a set of strategies for managing the processes, tools and policies necessary to prevent, detect, document and counter threats to digital and non-digital information.” Any point of data storage and transfer is considered to be an “information system,” meaning this practice can apply to a wide variety of environments, including those outside cyberspace. But information isn’t the sole point of sensitivity, at least not directly. 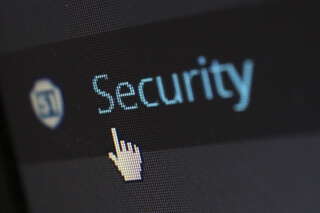 Network security is another division within cyber security, focusing on data leaving or entering a device through a network of computers and servers. Experts in network security monitor countless interactions between networked computers and other machines to ensure their connections are protected. Some hackers are more interested in gaining access to closed networks so they can manipulate data and websites or shut down essential functions. This necessitates a complete focus on rendering all points of vulnerability inaccessible to the prying eyes of hackers and cyber terrorists in every interaction between a PC or mobile device and a network or server. This is the wider aim of cyber security, and why experts in the field will be in such high demand over the next decade. If you’re interested in exploring opportunities in this rapidly growing field, explore the online Master of Engineering in Cyber Security Policy & Compliance offered by George Washington University. « Master’s in Computer Science vs Cybersecurity: What’s the Difference?